MoonProject – Does Israel have a policy of genocide? You are here: Home » Current Affairs » Does Israel have a policy of genocide? Does Israel have a policy of genocide? On the 23rd of September, 2014, president of the Palestinian authority, Mahmoud Abbas, gave a speech at the UNGA (United Nations General Assembly). The speech caused an uproar mainly within Israeli politics, but also with Israel’s allies like the United States, because it accused Israel of “genocide”. The accusation of genocide is a very serious one. Please note, that while the full transcript which you can read here, doesn’t mention “genocide” – in the video above president Abbas explicitly uses the word in genocide in Arabic – “إبادة” (‘ibada) in the beginning. Many activists who call them selves supporters of Palestine and the Palestinian cause will agree with the idea that Israel pursues a policy of genocide. But is it true? Genocide is a denial of a right of existence of entire human groups, as homicide is the denial of the right to live of individual human beings. However, its important to note that the Article 6 of the Rome Statue definition – although helpful, doesn’t apply to Israel in a legal sense. It signed the treaty, but did not ratify it – and expressly requested that it is not party to it. My initial thoughts was that Israel does not have a policy of genocide. My impression of “genocide” was the clear and active attempt to exterminate an ethnic group, to wipe them from existence. This is not what Israel has been trying to do with the Palestinians. From a strategic point of view, pursuing a policy of genocide would be very counterproductive. As much as a valuable asset Israel is to Western states – not just for its strategic location but also its reputation when it comes to medical and military technology – there is always a line that can’t be crossed. And this line would have been crossed a hundred times over had it pursued an open policy of extermination against the Palestinians. What would follow is an isolation that Israel cannot survive – this is true for all States in the now globalized and interdependent world in which we live. Benny Morris is speaking of the 1948 Nakba or “Catastrophe” as named by the Palestinians, and “War of Independence” as named by Israelis. This war caused the uprooting of 700,000 or more Palestinians and expulsion from their homes. At the heart of this is what drives Israel to this very day – for Israel to exist, it must maintain a Jewish majority, or as it likes to call it a “Jewish character”. And for this “Jewish character” to be achieved in a territory where the majority were non-Jews, there had to be a mass expulsion – an ethnic cleansing as it were. From that point in history and onwards, Israel has engaged heavily in maintaining it’s Jewish character, for some Arab minorities remained after the war – and it did so through social engineering. It is also worth noting that although Morris believed that this was necessary for the creation and maintenance of Israel, he did not think that the Nakba was actually planned by Israeli forces. And where is Netanyahu now? Leading the Israeli government. This is just one of many examples of how the idea of Jewish character preserving the Israeli state is not only mainstream – but a staple in Zionist politics. The most recent operation that Israel carried out against Gaza and it’s Hamas government has been described as the most furious yet. With Palestinian president denouncing it as part of a policy of genocide. But another, less well known accusation, is that Israel was not following a policy of genocide – but an IDF policy known as the Dahiya Doctrine, a malicious policy of deterrence. This doctrine was proposed by IDF general Gadi Eizenkot. During Israel’s war with Hezbollah in Lebanon in 2006, Israel targeted an area in Beirut full of apartment blocks. The area was known as “Al-Dahiya” and was mostly flattened. General Eizenkot was interviewed about this doctrine, which he explains well. But to summarize, the theory behind it is to use disproportionate force against the host country’s civilian population. The reason? Simply to induce so much suffering as to deter anyone from attacking again. As well as that, it was a way to tell civilians that they are responsible for the actions of the militant groups that live near or among them. Not only will this work as deterrence, but the idea is that the people who suffer blame the militant groups for fighting with Israel in the first place, and to decrease the militant groups’ popularity. Now when it comes to the Gaza war, according to the IDF’s own sources, 55% of all casualties were civilians (1170). While this OCHA report puts the figure at 70% (1646). This report also includes details on the bombing of the main power plant, water and sewage systems. There are more details on the extent of damage caused to education, businesses and so on. 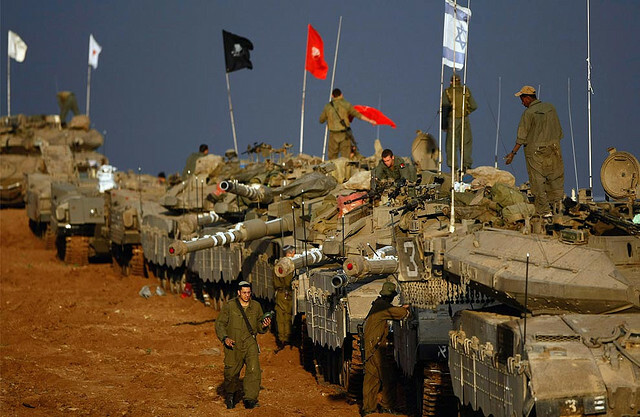 Tactics were employed by the IDF that were not precise at all, like artillery shelling of areas like Rafah in the Southern Gaza strip, as well as shelling of areas which housed UNRWA schools. These are all indicators that Israel was not only concerned with dealing a blow to Hamas, but to carry out a Dahiya doctrine once again – one where they hold the civilians accountable as well. I could have gone into more detail as to the meaning of genocide, internal Israeli politics and the 2014 Gaza war. But from the information provided, a case might be made that Israel pursues a policy of genocide. Although not a party to the Rome statute of the ICC – the definition can be applied not only to Israel’s war on Gaza, but the Israeli Palestinian conflict as a whole. Israel’s denial of the existence of a Palestinian State carried out through the military occupation of the West Bank, the separation barrier and the settlement project – but also in terms of theory, of denying the existence of a Palestinian identity; which many Zionists hold. All of this can be linked to UN General Assembly Resolution 96 – which says that just as homicide is the denial of someone’s right to life, so is genocide the denial of the right of a group of people to exist – ethnic, national or religious. But this heavily depends on interpretation and definition. Its also worth remembering that UNGA resolutions are non-binding, so in terms of legal practicality they’re not very useful. All of the above could be understood as Israel’s destruction – “in whole or in part” as the Roman statute says, of a Palestinian national identity/existence. And under the statute, it is not only ethnic groups that genocide may be committed against – but also national such as that of the Palestinians, as well as a racial or religious group. Israel can also be said, under the statute, to have caused “serious bodily harm” against “members of the group” – the group being Palestinians. But it can be argued that the policy behind that was not genocide, but deterrence. Although that is different, it is still just as immoral. On the other hand, Israel would argue, as it often does, that it is not actively “destroying” Palestinian national identity nor denying it. They could argue that there is no “genuine partner for peace” among the Palestinians. And as for the occupation of the West Bank? It is a security measure, and the settlements are there because Palestine is not technically a sovereign state and it is “disputed territory”. Of course, not being a party to the Rome statute of the ICC would also mean that even if the arguments for Israel’s committing genocide held true, Israel could not be prosecuted for this particular crime. Does Israel have an interest in the full extermination of Palestinians? Probably not, not with the risks that come with it. But they do have a “Palestinian question” – the ones living within Israel and the ones in the West Bank and Gaza. They are not going anywhere, they are not giving up as of yet. Do they get a state? Do they all get annexed? How are they to be treated? It is like a thorn at their side. Their interest is in consolidating their power in the occupied West Bank as much as possible, while maintaining the Jewish character of the state. The Palestinians in exile or in refugee camps in other countries can stay there for all that they care. In the meantime, Israel will be having an internal conflict. One side of the Israeli collective consciousness purports to be liberal, democratic – eurocentric to an extent. But the other side is nationalist, racist and fascist in its thinking. This internal conflict is discussed by the Israeli press quite openly, and it is not surprising which side is winning at the moment.